The versatility of a built-in crevice tool and a detachable power brushroll! The Gator series hand vacs feature a flip open dirt cup for easy emptying. Dump the dirt without getting your hands messy. The power brush roll easily slides on and off allowing you to move from carpet and upholstery to hard surfaces. 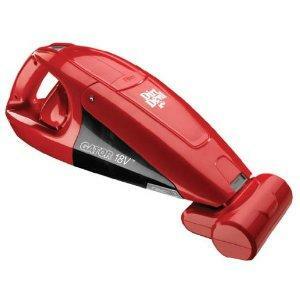 This Gator hand vac includes smart charging technology that has earned an Energy Star rating.